Purchase a FUJIFILM GFX 50R Mirrorless Medium Format Camera. 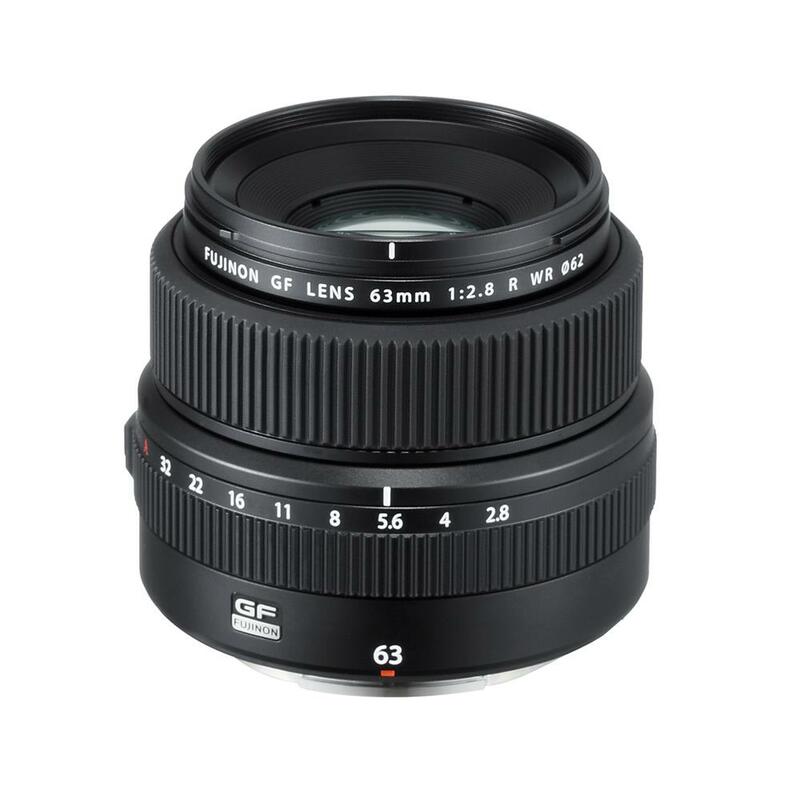 Purchase a FUJINON GF 45mm f/2.8 R WR Lens or a FUJINON GF 63mm f/2.8 R WR Lens. You will save $1099.99 off of the lens. Both items must be present in the shopping cart at checkout in order for this promotion to apply. Offer valid January 4 to May 2, 2019, at 11:59 p.m. E.S.T., or while quantities last. A standard lens specifically designed for the G Mount and 43.8 x 32.9mm sensor. The GF lens range, which can cope with resolutions up to 100MP, combines the latest technologies with extensive knowledge accumulated from making XF lenses to deliver the best possible image quality and realize the full potential of the GFX 50S medium format mirrorless camera. The intuitive controls include a C position on the aperture ring, which allows you to adjust the aperture value with the command dial on the camera body. The A (Auto) and C positions are now lockable and all the lenses are weather and dust resistant, plus they can work in temperatures as low as -10 degrees C for worry-free shooting outdoors. Brass mount has been adopted for the strength. This lens series is set to become a professional workhorse. Ensures the lens is compact yet still delivers the highest resolving power. The Front lens group is shifted together during focusing to achieve highest level of sharpness. Superb levels of detail can be seen from the center to edge of the frame, even with the aperture wide open, plus it also produces stunning front and rear bokeh. Featuring 9 weather resistant seals so you can shoot outdoors in wet, cold or dusty conditions. With a C position (Command dial mode) on the aperture ring that allows you to control the aperture with the command dial on the camera body. The A (AUTO) and C positions are also lockable to prevent incorrect operations.